TOM PERROTTA's thirtyish parents of young children are a varied and surprising bunch. There's Todd, the handsome stay-at-home dad, dubbed "The Prom King" by the moms at the playground, and his wife, Kathy, a documentary filmmaker envious of the connection Todd has forged with their toddler son. And there's Sarah, a lapsed feminist surprised to find she's become a typical wife in a traditional marriage, and her husband, Richard, who is becoming more and more involved with an internet fantasy life than with his own wife and child. 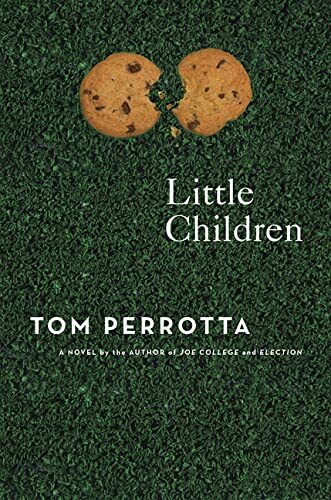 "...poignantly funny... Little Children will be Mr. Perrotta's breakthrough popular hit..."
"A virtuoso set of overlapping character studies...a greatly auspicious and instructive encounter with the dread world of maturity." "Little Children made me laugh so hard I had to put it down...a precise and witty evocation of the sweet, mind-numbing routines and everyday marital conflicts...an effervescent new work." These parents raise their kids in the kind of quiet suburb where nothing ever seems to happen--until one eventful summer, when a convicted child molester moves back to town, and two parents begin an affair that goes further than either of them could have imagined.